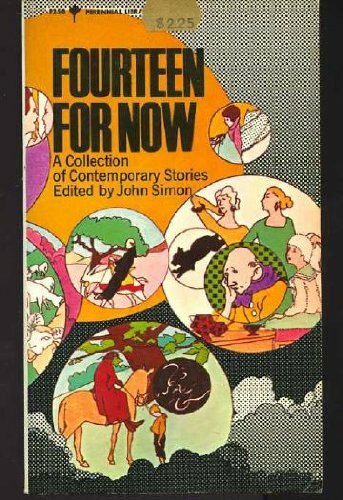 Two anthologies aimed at a teen readership by two famously prickly critics, and writers otherwise (not that Harper & Row, their mutual first publisher, nor certainly the paperback packagers, would mind if adults were willing to partake--one notes the degree to which adult-targeted anthologies could easily feature the same sets of stories). Notable in part for the eclecticism of the choices, in the case of the Knight even to the the degree that all the stories are drawn from different magazines in the sf field (including Worlds Beyond which Knight edited), and that famous speculative fiction title Town and Country (devoted, of course, to fantasies and achieved realities of expensive living). 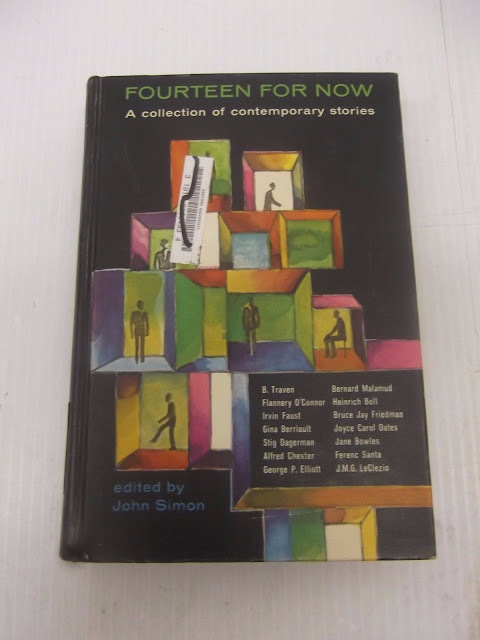 Also notable to the degree which the Simon anthology doesn't eschew the fantastic, from the rather thoroughly science-fictional "Among the Dangs" to the various more blatantly metaphorical explorations as the Böll, and those that can be read as certainly akin to the fantastic (or at least as a borderline horror) as the O'Connor; certainly, very few of Simon's writers haven't at least delved notably into the fantastic, even as few of Knight's haven't made at least some notable or interesting contribution to the contemporary/mimetic or other non-fantasticated genres, including Heinlein and Asimov and definitely including Budrys, Kornbluth, Blish, Bradbury and, most obviously, John D. MacDonald, most of whose career was set in other contexts than fantastic fiction. 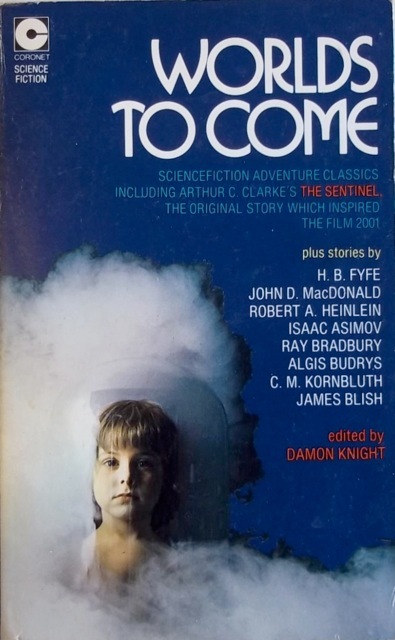 Also, as is common in anthologies aimed at young readers, no fear of gathering chestnuts, mixed in both cases with rather obscure stories...and at the remove of half a century, some once ineluctable stories are now only infrequently seen, if at all...such as "The Stone Boy" or "The Edge of the Sea". Knight offers quick headnotes and a brief bibliography of recommended additional reading, Simon musing endnotes to each story, and both manage to provide introductions that are interesting mixes of useful observation and hobbyhorse-riding on their parts...Knight lays out rather well why science fiction is not so much a predictive artform as a speculative one, which can at times predict and at times nudge readers, scientists or technologists or those who are likely to work in those fields eventually, toward development (and notes that Jules Verne enjoyed playing around with exotic but already achieved advances and discoveries, while imbuing them with Gosh-Wow as if they were still basically out of reach)...while providing in his anthology a number of stories with no relation to the stated thesis, as one might take it, of the anthology...since "Mars is Heaven!" and at least a few of the others are more borderline horror and/or of other ambitions altogether (as Algis Budrys noted, in his own hobbyhorse-riding review, one of only two the book received in the sf media, apparently--typically, Budrys does not miss a chance to dismiss his own work as less than fully-realized, while also justly taking on the unearned reputation of Arthur C. Clarke as primarily a hard-science extrapolator so much as frequent mystic). While Simon makes useful argument for what makes good narrative art vs. less good, while mostly pretending that what made so much television drama in the 1960s and previously (he doesn't admit that there are any exceptions) so bland and unenlightening doesn't apply to arts more dear to his heart as film, stage drama and literature (where he does admit the latter, it is almost grudgingly and fleetingly). 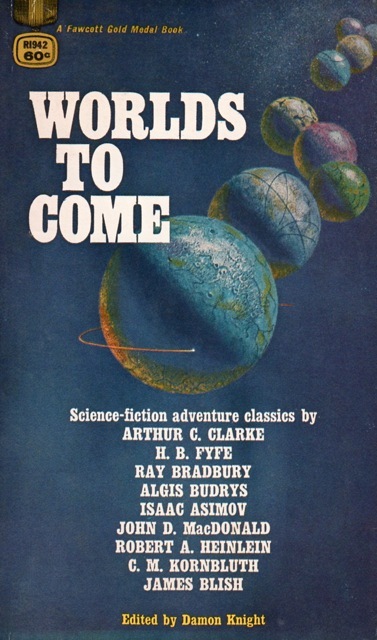 I actually read WORLDS TO COME when it was first published and I may have a paperback edition of it around here, too. I have never seen or heard of FOURTEEN FOR NOW before your review. 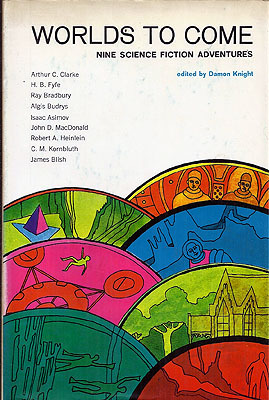 I am impressed the Harper & Row was so involved in SF anthologies in those days. My FFB today is another Harper & Row anthology from the early 1980s. I think Harper & Row was very interested in the Boomer YA market--which certainly made commercial sense. Gregory Feeley notes on Facebook: I laughed at seeing the titles of the first two stories in the Simon volume together: "When the Priest is Not at Home, A Good Man is Hard to Find." I suspect Simon might well've enjoyed his little joke in juxtaposing them. I'm pretty sure I read WORLDS TO COME out of the libray back in 1974 or so. Really it's a pretty good anthology. 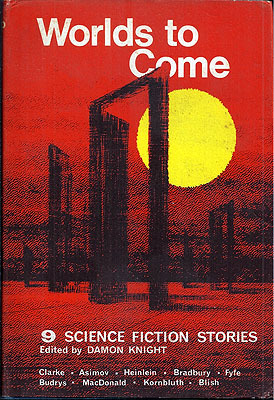 "The Edge of the Sea" is one of Budrys' best early stories, quite a remarkable piece. I would imagine, though I don't know, that that version of "Sunken Universe" must be as revised by Blish for THE SEEDLING STARS. Feeley also recalls reading it when it was pretty new, and loving it.